A monument commemorates the exploring expedition of Major Thomas Mitchell in July 1836. It was erected as part of the Australian Bicentennial. 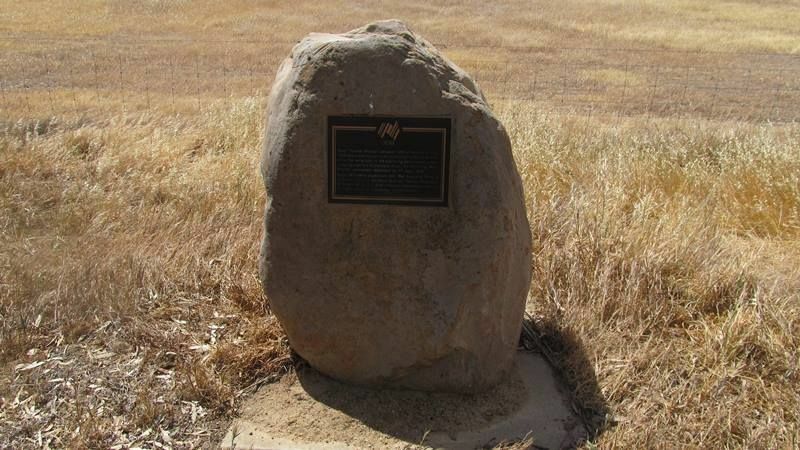 Major Thomas Mitchell camped north of here on 12 July 1836 before setting out on an expedition to Mount William while the remainder of the exploring party constructed a crossing over the Richardson River. On returning, Major Mitchell proceed westward on 17 July 1836. Major Mitchell`s expedition in to the Australia Felix is commemorated by the Major Mitchell Trail, an Australian Bicentennial project with the financial assistance from the Commonwealth and Victorian Governments.